When you were a kid playing video games, did you ever dream that one day you could actually go inside the game and play? Well, that future has arrived with new technology at Western Michigan University’s Waldo Library. When you hear the words “virtual reality,” maybe you think about living another life through an avatar. Virtual reality can be an all encompassing technology, with uses in both education and entertainment. Kevin Abbot at Waldo Library has found a way to give students and faculty the best of both worlds. But he says that virtual reality can be a bit confusing, at first. 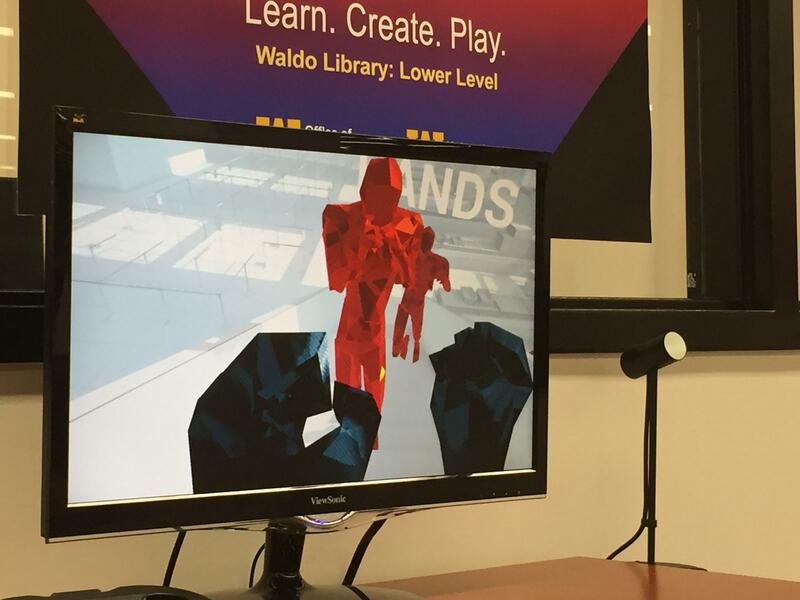 Waldo Library VR is also a play and workspace for students interested in trying out VR for the first time and and trying their hand at creating content. The educational use of VR tech could be nearly limitless. So says Bill Brieger at the Kalamazoo VR arcade Nova. Brieger says virtual reality can also connect students and teachers from around the world and open up different kinds of learning experiences. 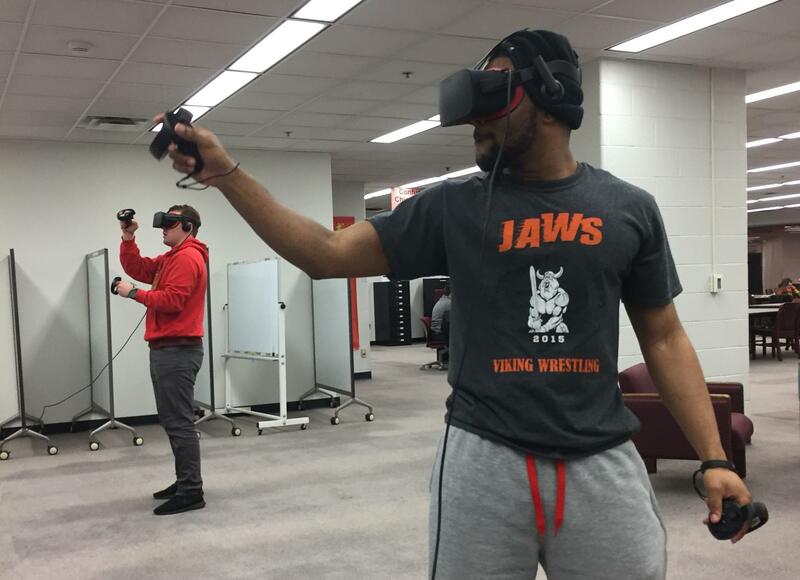 Virtual reality offers students a unique opportunity for hands on experience. But WMU’s Kevin Abbot says you shouldn’t think of it as just a video game. Waldo VR is now open in the basement of Waldo Library. The lab is free for use on a first-come, first-served, basis.